How to Succeed in Media Sales. A View from the Top…. I spent the first half of my career in magazines, working up from classified sales in trade press, to Advertising Director for BBC Magazines. I moved into digital via a brief period at a start-up social gaming company, then spent 7 years at LinkedIn, latterly as Global Agency Lead. Now I’m enjoying being part of the rapidly evolving and growing OOH industry as it transforms itself into a digitally-led offering, as Sales Director of JCDecaux’s Airport division. What’s been your biggest setback? My biggest setback actually ended up creating my biggest opportunity. After 12 years of working in consumer magazines I was made redundant from BBC Magazines in 2010. This was the first time I’d not been working, and was an unsettling time for me. It forced me to re-evaluate where I felt the opportunity was in the market, invest in developing the digital skills in which I was sorely lacking, and ultimately put me on the path to securing the job I hold today, which I love. What has been the best piece of advice you’ve been given? What do you think it takes to be a successful media sales leader? Create a culture of inclusivity – ensure everyone in the room has a voice – something that is key part of the ethos at JCDecaux. 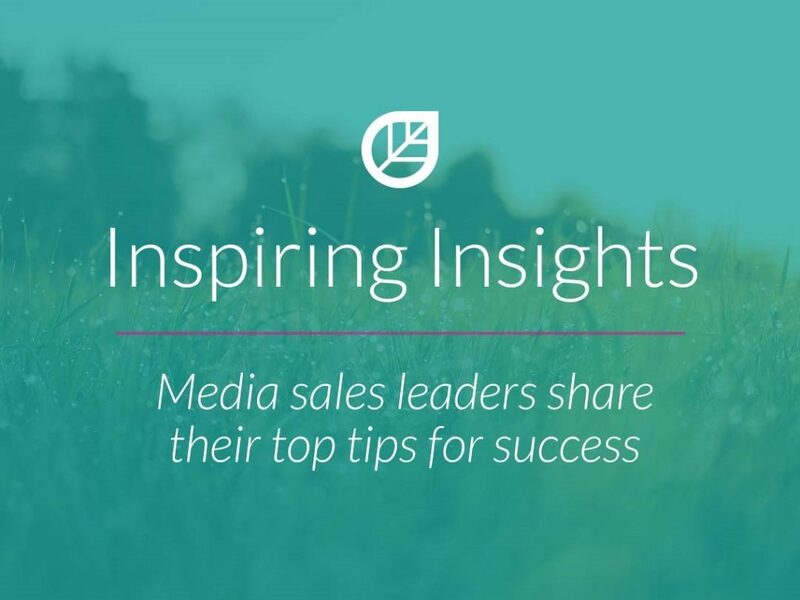 What top tips would you give budding media sales stars? Do your homework thoroughly on your sales targets, listen and learn first, and then react accordingly. Take advantage of any training opportunities. Cover the ground – if you make more calls, you’ll connect with more people, you’ll uncover more opportunities and convert more business. Read the press or the research that is relevant to your clients and your industry. Get out of your comfort zone. It’s really important to keep learning, and the best way to do this is to push yourself to do new things. Personally, I learn by doing, and while it can often be uncomfortable, throwing yourself in at the deep end is often the quickest way to develop new skills. It also helps if you’re able to find a boss who you can learn from!